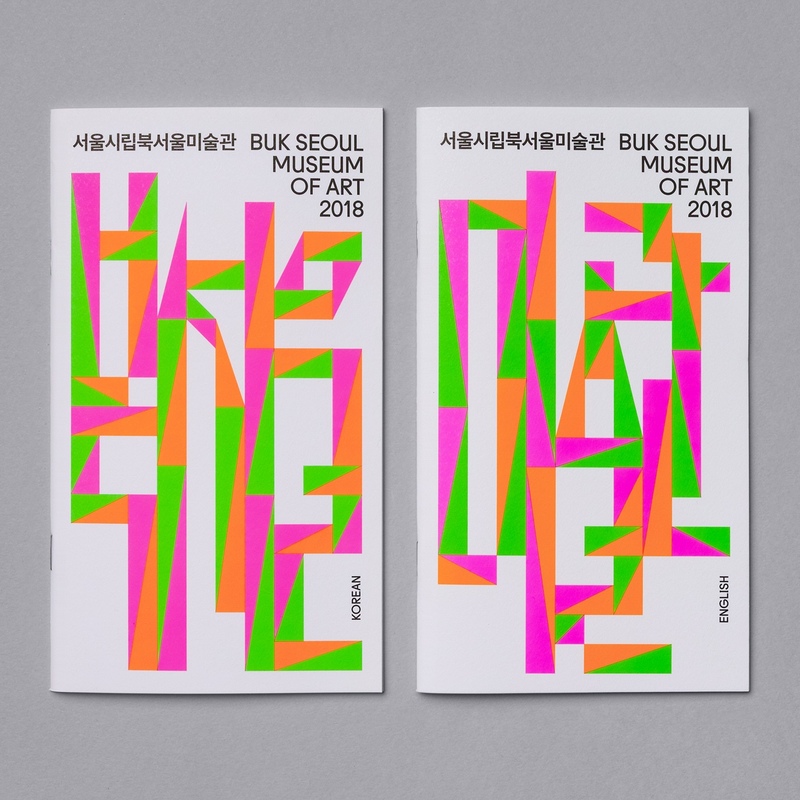 Buk Seoul Museum of Art is an art museum and park where art, community and nature coalesce. 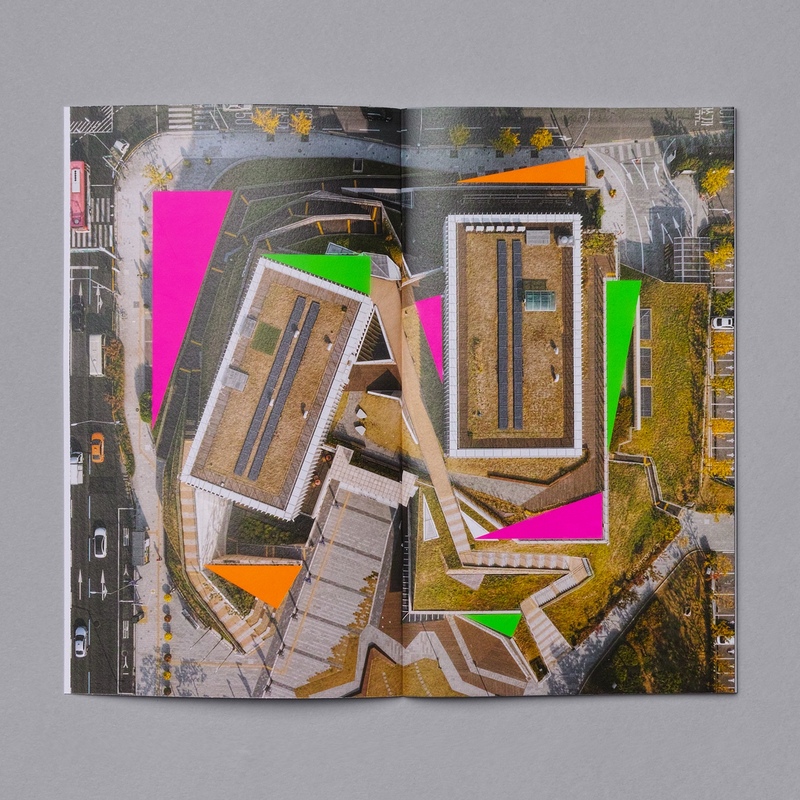 It promotes cultural activity and interaction and brought cultural spaces and facilities to the North-eastern part of Seoul where they were previously lacking. 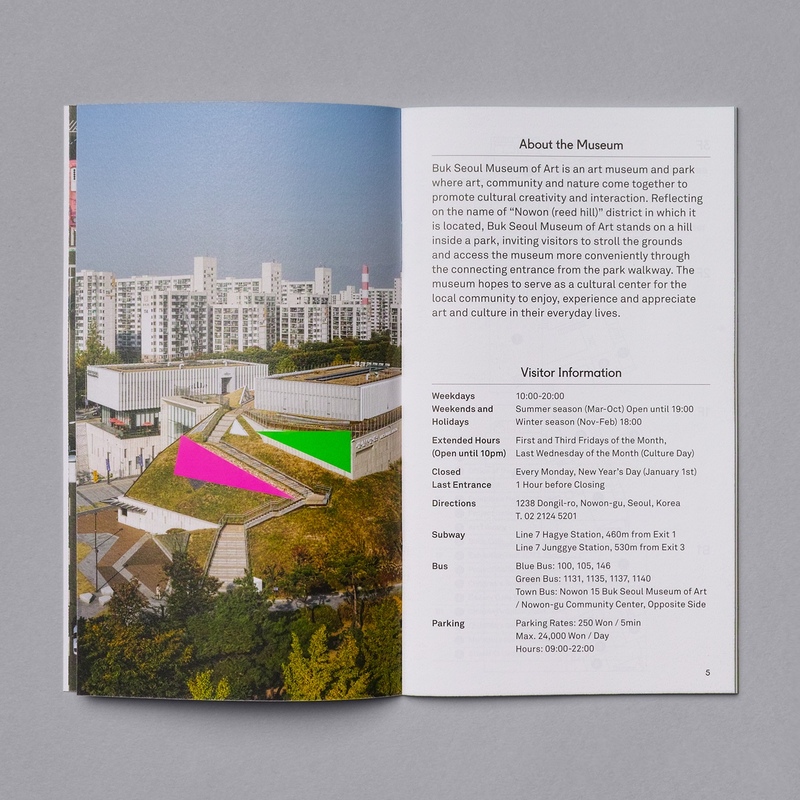 The museum is marked not only by its distinctive forms, designed by Samoo Architects & Engineers and completed in 2013, but in its interaction with the hill Nowon. 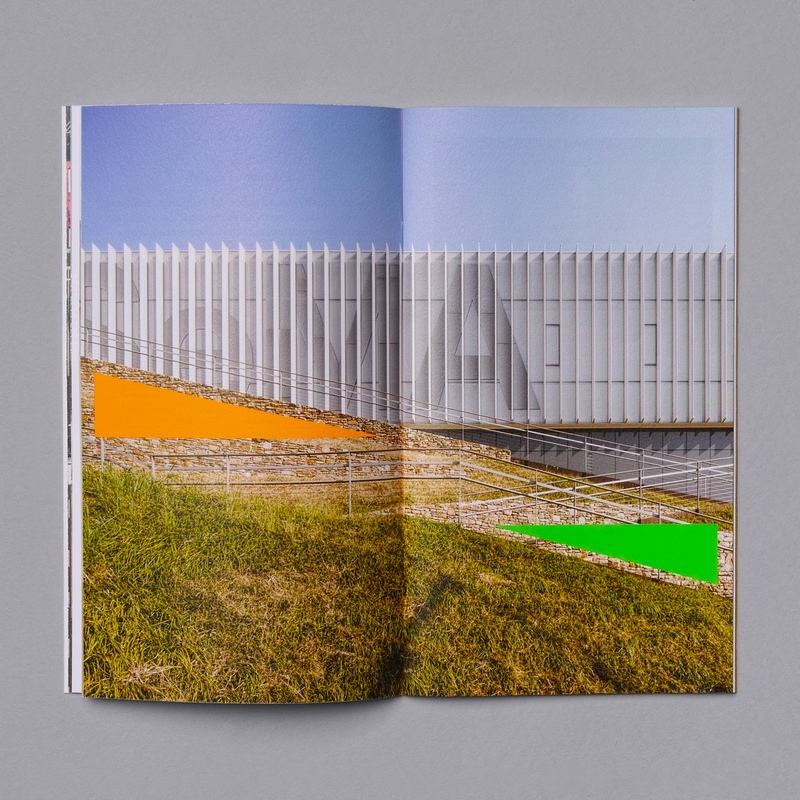 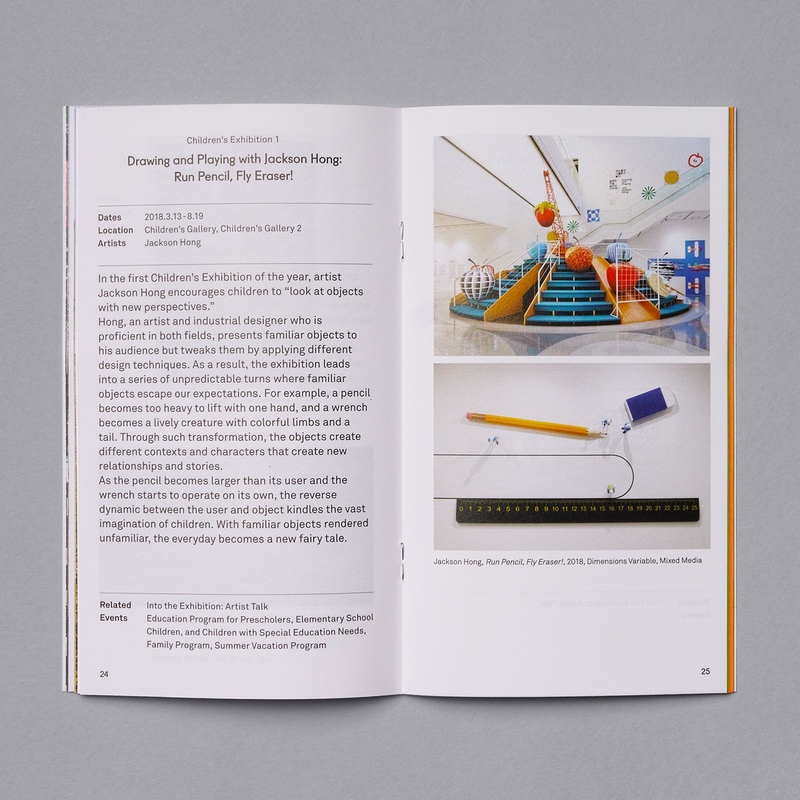 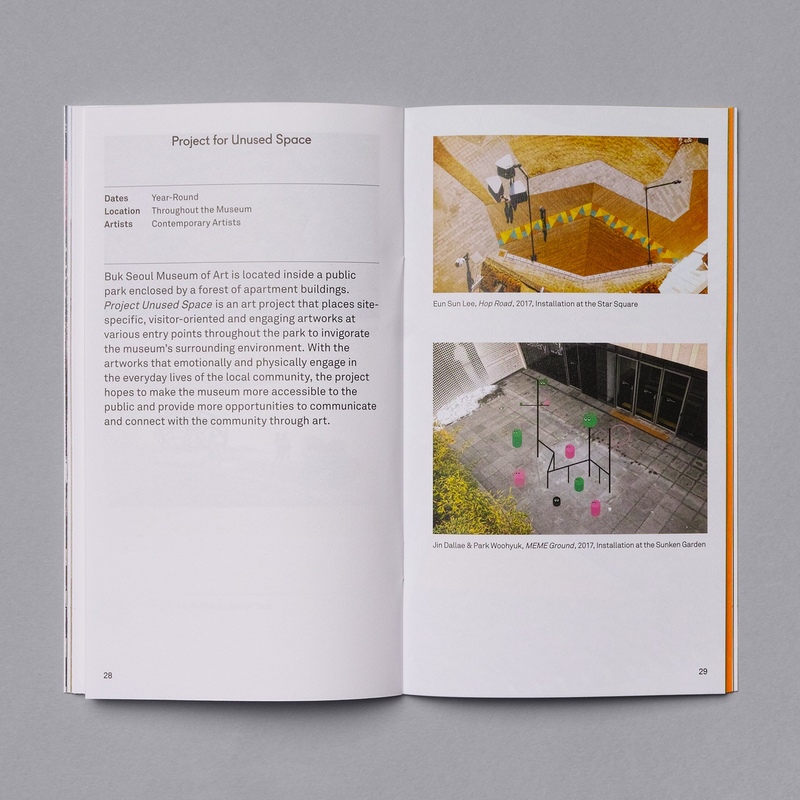 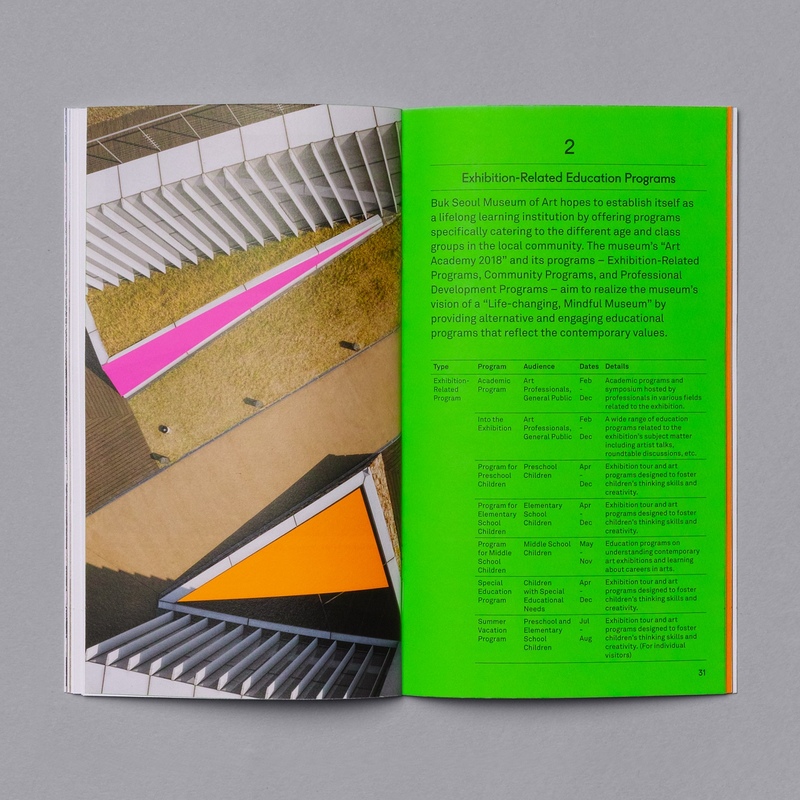 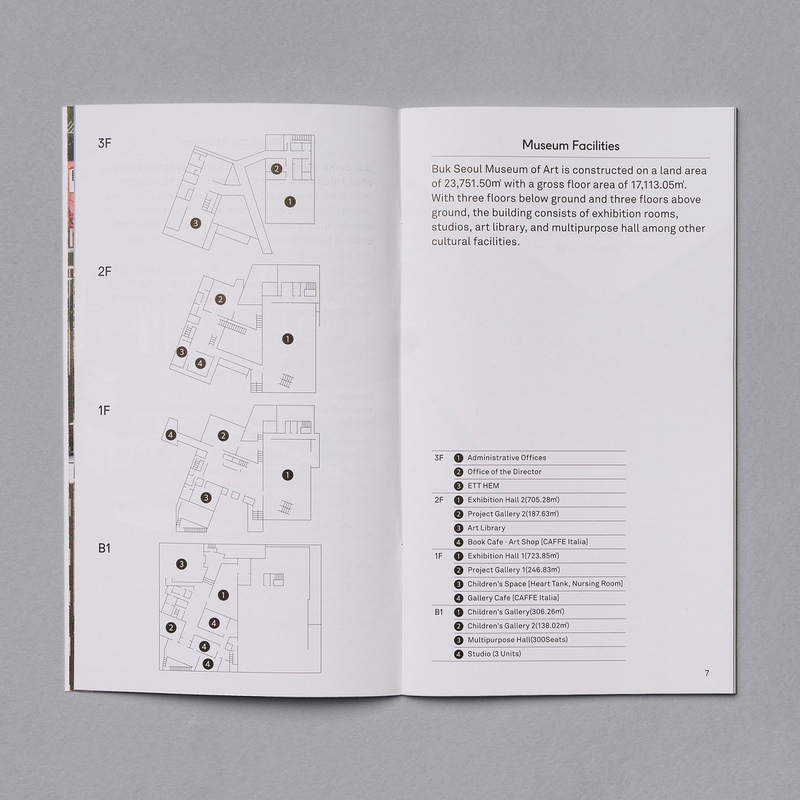 The movement of people through and around built structure and natural park, and the dialogue and interaction between external structure of the museum and its shaping of natural landscape is captured in the museum’s 2018 season programme guide, designed by Studio fnt, through colour, form and imagery.